The dog grooming products industry has been booming over the past few years with a constant supply of new brands and product ranges. This only adds to the list of things to consider when trying to decide which products are the safest for use on your dog. 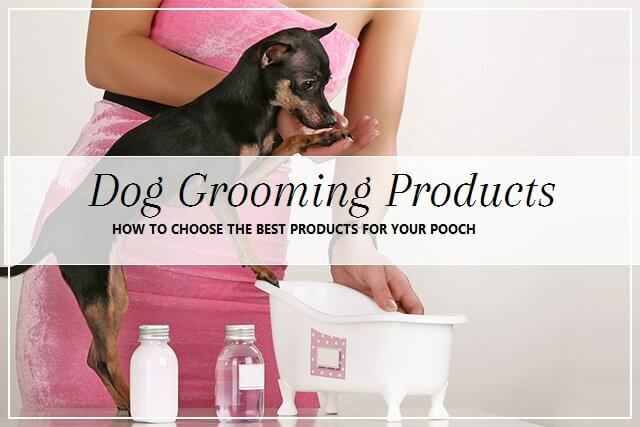 Read on to learn what is really in a lot of products on the market and what you should look for when purchasing for your pooch. Many of today’s off the shelf grooming products contain chemicals and unnatural ingredients and are heavily scented or perfumed all of which can cause skin irritations and allergies. Many consumers are blind-sided by labelling and marketing terms stating products are ‘all natural, safe, gentle’ when they contain ingredients harmful to your dog. Some of the harmful ingredients, toxins and carcinogens that can be present in off-the-shelf products for dogs include SLS, SLES, BHA, BHT, DEA, MIT, Propylene Glycol (used in anti-freeze), Sodium Hydroxide (caustic soda), Parabens, Phthalates, and Benzalkonium Chloride. This represents only a few of the harmful ingredients being used in today’s dog grooming products. Can you use your own products? A lot of people that want to bathe their dog between visits to the grooming salon ask if they can use their own shampoo and conditioner on their dog. The answer is definitely not and here is the reason why. A dog’s outer layer of skin is not as thick as humans so it is much more delicate than ours. It also has a different pH level to ours making the skin not only delicate but susceptible to absorbing undesirables. Products formulated for human use will disrupt your dog’s skin acid mantle creating an environment where bacteria, parasites, and viruses grow resulting in a lot of discomfort and skin problems. To protect against this never use human shampoo, soap, conditioner, or perfumes on your dog; always use products specially formulated for use on dogs. So what do you look for when purchasing products? Due to misleading marketing pet parents have to be diligent when choosing products for their pooch. When choosing products always read the full list of ingredients making sure that there are free from artificial fragrances and colouring. Look for natural skin moisturisers like vitamin E, almond oil, coconut oil, or jojoba. 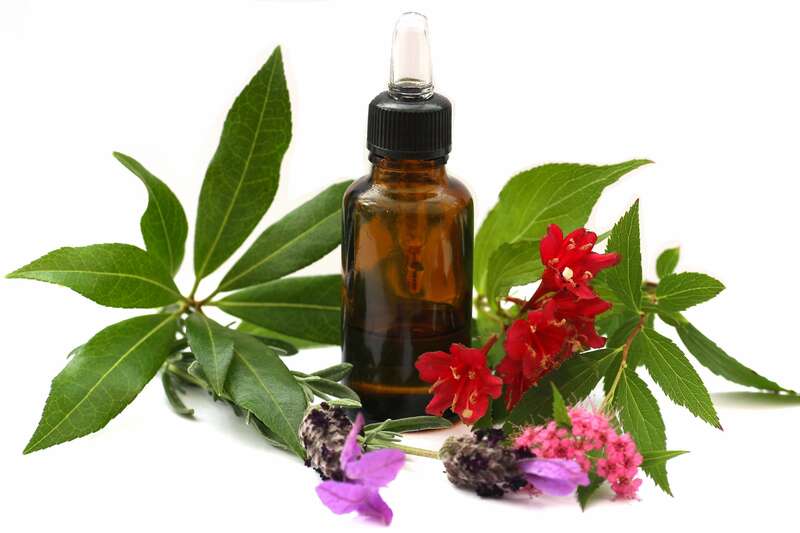 Fragrances to look for should be naturally derived from essential oils. Do not rely on the front label alone, and if anything is listed that you are unsure of do not purchase the product. If in doubt about a product or ingredient you can always speak with your pooch Dog Spa therapist. Most of the essential oils produced in the world are food grade or industrial grade meaning its intended use is for flavouring, pharmaceuticals, cleaning supplies or chemicals. Oils produced for these uses are distilled for quantity, not quality and are often cut with cheaper oils. In contrast, reputable oils that are produced for the aromatherapy industry are typically made by distillers using plants available in the wild or grown organically specifically for aromatherapy use. By only using organically grown plants we eliminate toxic pesticides making its way into the essential oil. The quality, purity, and how oils are diluted all influence the safety and effectiveness of using aromatherapy with dogs. There is no benefit in using aromatherapy on dogs if the oils being used are inferior. The most dominant feature of essential oils is their scent, their true capabilities are determined by their chemical composition. Plants produce essential oils for a variety of reasons; attracting insects, repelling pests, or fighting off bacteria, viruses and fungi. This variety of tasks produces a vast range of compounds within any essential oil making it possible to use them in a variety of ways. Aromatherapy primarily works on the physical level with animals. In the wild animals have unlimited access to thousands of different medicinal plant species allowing them to intuitively maintain their internal and external health. The safest and most effective way to use essential oils with dogs is to facilitate this innate ability to self-medicate. Dogs have a much larger nasal cavity than humans do, so as a result, their sense of smell is 50-100 stronger than ours. Dogs will show varying reactions when presented with essential oils; they may lick the bottle or your hand, they may sniff intently but not lick, or they may turn their head away. These and other reactions are the bases for whether a dog needs an oil, and an experienced therapist will use these observations and establish an oil protocol for each dog. When choosing aromatherapy grooming products it is important to opt for those that use quality ingredients. Quality aromatherapy grooming products should not contain any of the undesirable ingredients listed above and should not strip the natural oils of the skin or coat. At pooch Dog Spa we use the benefits of oils to ensure a genuinely tailored approach specific to your dog’s individual needs. Your dog will intuitively guide their treatment sessions, you will be amazed and delighted at how clearly they can express their needs and preferences. All products used at pooch Dog Spa have been selected by the owner and tested on both her and her beloved 3 pooches. Only the finest all organic, natural, holistic, non-toxic, chemical free, cruelty-free ingredients were chosen from a selection of suppliers and distillers, making them superb for even the most sensitive of skin. We only use the essential oils that are safe for canine use, as not all essential oils are safe for use on your dog. Cold pressed, unrefined oils such as sweet almond and coconut are used during aromatherapy treatments, and our range of mists and balms are made from the purest unrefined kinds of butter and waxes. At pooch Dog Spa we continue to monitor developments in canine grooming products and treatments to ensure we always offer our clients the very best of what is available. Safety note: Do not attempt to use essential oils on your dog, these should only be used under the supervision of a trained professional.